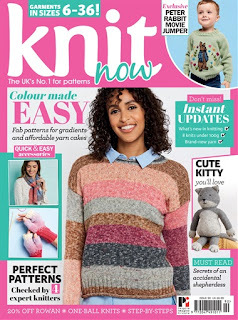 Towards the end of the behind the scenes at Sirdar day back in June, Knit Now magazine's editor Kate Heppell gave a presentation on how each issue is produced. Step 1: Know what the reader wants and give them it. Practical Publishing, the owner of Knit Now, has this as its motto: 'Passionate about providing creative people with the best products and ideas'. Heppell and her team regularly conduct surveys, meet people in the industry and have reader focus groups. Step 2: Decide on the issue's free gift, known in the industry as the cover mount. 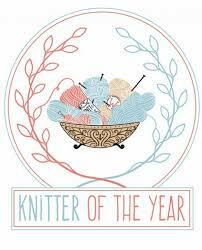 Knitting magazines with gifts apparently sell more copies than those without. 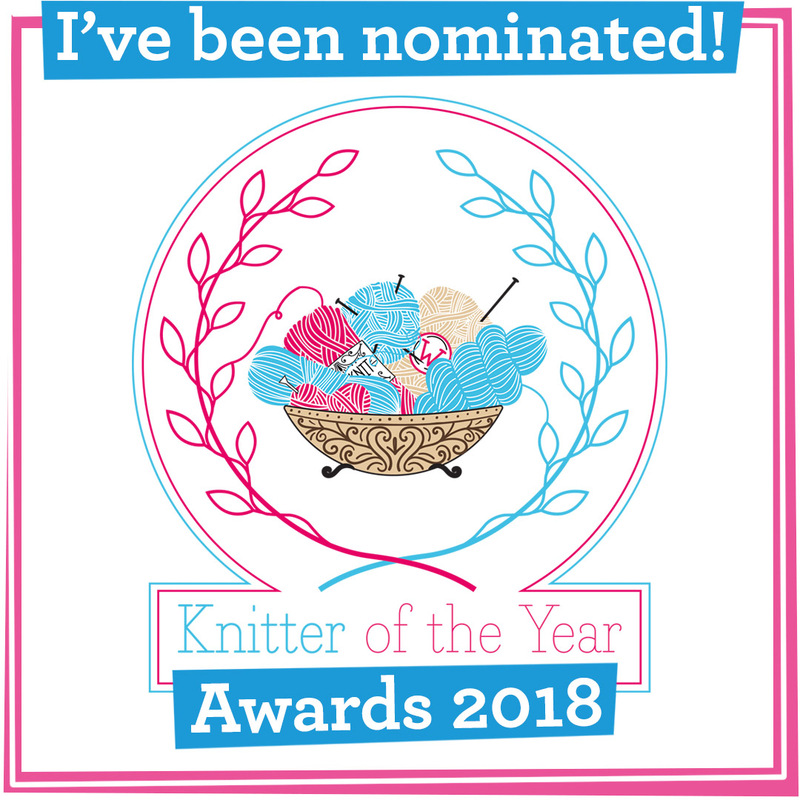 Types of gifts can include yarn and pattern kits, tools such as stitch markers and knitting needles, and pattern book supplements. Some are made abroad and have to be commissioned well in advance in order for them to reach the UK's shores on time. Step 3: Put out a call for submissions for the issue via email. Heppell will have already put together a mood board with the type of patterns, yarns and colour palette she's looking for. A theme of issue 90's (see the top left image), for example, was ombre. There are a couple of patterns on the cover that follow this trend. Step 5: Heppell now has to sit down with a big spreadsheet for the issue and make sure that she has a great range of highly-scored patterns to suit different techniques, tastes, types of projects and yarn weights. She's also got to take into account her budget to pay designers and the amount of pages available to fill. Step 6: Next she has to take into account including a range of yarns at different price points and a colour palette for different tastes. Some designs will be classic, other more modern and trend-led. The issue may also include a collaboration with commercial partners. Step 7: Once Heppell has chosen the patterns for the issue they go out to tech editors and are checked over by herself, the sub editor, deputy editor and more people to make sure they are correct. Step 8: It's now time to photograph the designs for the issue. The photos, particularly the cover image, have to be enticing and accurately represent the garment or project. Photos encourage people to pick up the magazine from the news stand. Usefully Practical Publishing has its own studio and photographer. A hair and makeup artist is brought in to style the model and Heppell goes along to ensure everything runs smoothly and she's happy with the images. Step 9: The magazine now starts to take shape in a plastic folder with printouts of each page in, called the flat plan . Heppell decides what will go on which page to ensure that not only can readers find the regular sections but also that the magazine flows well. Step 10: The art editor steps in to design each page in the magazine's signature look. Step 11: The issue goes to the printers. It's then bagged with the cover mount and sent out to supermarkets and newsagents ready for publication day. Step 12: It'd be nice to say that the team gets to put their feet up with cake in one hand and a glass of wine in the other but that's not the case, not in work time anyway! Once an issue has gone on sale the team meet, armed with reader feedback and sales figures, to discuss what went well and what they could do better. * Fun fact - the annual British edition is often the best-selling issue of the year!